My name is Jennifer Briney and I’m the host of Congressional Dish, a podcast that examines Congressional actions from the perspective of a non-partisan taxpayer who wants to know what is being done with my money and in my name. A typical episode will tell the story of a bill, law, or hearing, featuring backstories, details, and sound clips that will help the listener make sense of what is going on in Congress. In general, the stories I uncover are ones that are not being discussed by the corporate media and I present them as if talking to a friend, which makes the style and tone informal and entertaining. 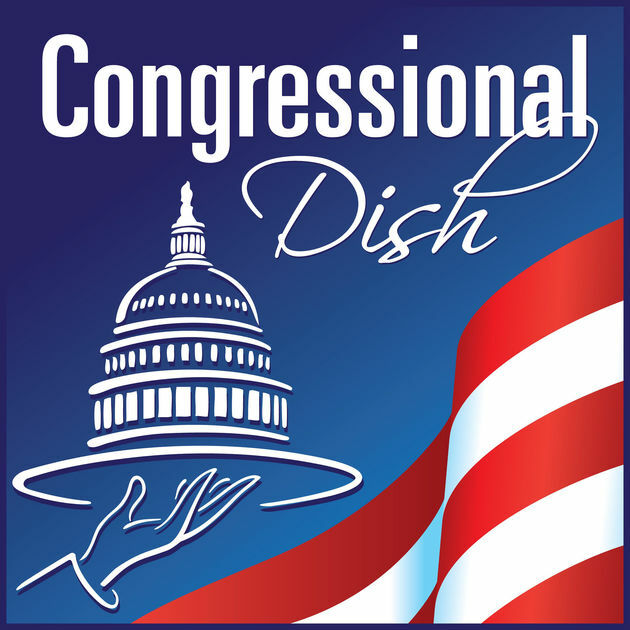 As a podcast without a celebrity host, Congressional Dish has progressed from a podcast with zero listeners in 2012 to a podcast that has amassed an audience of over 20,000 listeners per episode, placing it in the top 5% of podcasts in the world. The podcast is also a profitable business thanks to the value-for-value business model; invented by John C. Dvorak and Adam Curry, this business model relies on listeners to make voluntary donations in amounts of their choosing. Using the value-for-value business model, Congressional Dish is profitable and growing. The podcast was created in 2012, and at the time I was lost on my career path. I had quit the corporate world in 2006 and had bounced from unfulfilling job to unfulfilling job. I knew by 2011 that I could easily find a job to pay my bills but I wanted something more. I wanted to be proud of my work. I wanted to do something that helped people. In early 2012, I accepted a position at Weight Watchers. Even though the podcast idea was simmering in my head, I felt that making money had to be a priority. My plan was to work part time for Weight Watchers and maybe create the podcast in my free time. I came up with the idea for Congressional Dish while cleaning and listening to a House of Representatives debate on C-SPAN in late 2011. I overheard a Congressman brag on the House of Representatives floor that he had successfully added an amendment to an Energy and Water funding law which would protect secret campaign contributions. I couldn’t believe what I heard so I checked the Congressional Record and saw it for myself. I scoured the internet that night for any television news segment, article, or blog about the amendment, and there was nothing; it was like it never happened. That is when I realized that there were things happening in Congress that were not being discussed, and that was something I could fix. I started my training for Weight Watchers and was learning how to find and clip audio when everything changed on July 11, 2012: The day my dad had a massive heart attack. During his recovery, while he was reflecting upon his life, we had a heart to heart talk about what I should to do with mine; during this conversation, I told him my idea for the Congressional Dish podcast. In addition, he told me to really go for it – don’t do it halfway. After a long discussion with my husband, we agreed that I would quit Weight Watchers and work on the podcast full time for one year; my husband would pay the bills and I would test my podcast idea. At the one year mark, we would evaluate the progress and decide what to do from there. The first step was to learn how to launch a podcast. I graduated from Loyola Marymount University in 2004 with a degree in Communications, but I never studied the technical side of broadcasting. Since podcasting classes didn’t exist, I turned to free resources – available then and now – on the internet, specifically episodes of Daniel J. Lewis’s Audacity to Podcast, a free podcast that teaches the essential knowledge needed to start an independent podcast. For six weeks during my Dad’s recovery, I listened to approximately 30 episodes, taking detailed notes on what to buy, what companies to trust, and the critical steps to make sure the podcast was set up for success. After I felt as though all my questions were answered, I did exactly as Daniel recommended. I planned for success by hosting the podcast with media hosting company Libsyn – instead of via a website- correctly assuming that the podcast audience would eventually grow too large for a standard website to handle. I used Crowdspring.com to pay an artist $300 for a professional podcast logo that I submitted to iTunes along with the podcast feed. I created a WordPress website that I would use to publish detailed show notes for every episode and to eventually facilitate funding methods for the podcast. Last, I bought a basic microphone and stand for approximately $40 that I would use to record my first episodes. The results of the initial launch were…. crickets. There was one download, and I’m pretty sure that download was me. For the first few months of the podcast, I really wasn’t concerned with growing the audience. My main focus was mastering the art of podcasting. I learned how to find and create sound clips and how to insert them into the show. I learned how to use the microphone to get the best sound, eventually upgrading the microphone to the Heil PR40 that I use today. I learned how to edit the podcast, getting better every time. My focus was on creating the best podcast I could and making sure that every episode was better than the last. During this time, a small audience found me. I honestly don’t know how. On the show, I told my small audience that I needed them to be the “Congressional Dish marketing department” as I couldn’t do it all on my own. The audience responded. They told their friends and families to listen to the show. They posted positive reviews on iTunes. They tweeted and created Facebook posts highlighting their favorite episodes. To this day, this is my main marketing strategy as word of mouth is the most effective way to market a podcast. Another successful strategy that has worked, starting about six months after the podcast launched, has been guest appearances on other shows. At first, I simply said yes every single time someone asked me to come on their podcast. After the podcast’s revenue was substantial enough, I hired Interview Connections to introduce me to other podcasters, which has helped me land an additional 50+ podcast appearances that probably would not have happened if left up to fate. But the honest truth is that I don’t spend much time on marketing and never have. The key to my success is that I spend the majority of my time creating an excellent podcast that people want to share on their own. Excellent marketing can never overcome an inferior product. The product has to be the main focus. What’s the business model and how does your podcast generate revenue directly/indirectly? By creating an excellent product that provides information that can’t be found elsewhere, the value for value business model became an attractive opportunity, one that ultimately became extremely successful. 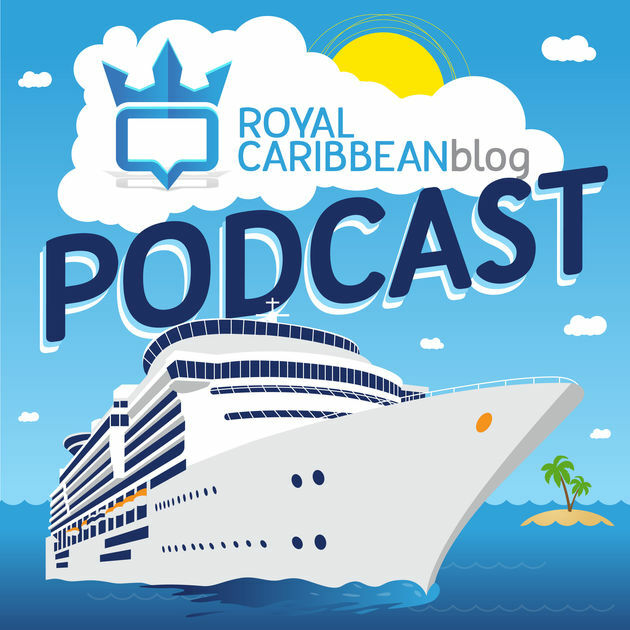 After the first year – our “trial” year for the podcast – there was enough interest in the podcast that my husband and I decided that I would make it my full time job and business. At first, the value for value business model was the only option as advertisers are generally not interested in podcasts with less than 5,000 downloads per episode, and Congressional Dish was nowhere near that at the time. But as the podcast grew, it became obvious that sticking with the value for value business model would be the best choice for my business. The value for value business model purposefully rejects all advertising opportunities, which is an essential part of the strategy. Think of Netflix: One of the main reasons so many of us love Netflix and pay for it monthly is that programming on their service does not waste our precious time with advertisements. Advertisements, in general, harm the quality of a podcast as no listener chooses a podcast for the ads, and many listeners will abandon a podcast that inserts too many of them. The value for value business model takes advantage of the general dislike of advertisements by offering an alternative – a show without them that instead accepts voluntary payments. In regards to journalism, rejecting advertisements is even more important as sponsors have a corrupting influence on reporters’ editorial decisions. If a drug company is paying you millions of dollars, are you likely to highlight the dangers of their products or choose another story that doesn’t threaten your income? The corruption is often not intentional but it’s instinctual that humans will be disinclined to bite the hand that feeds them. By rejecting advertisements, there is no sponsor so large and so important that their sins must be ignored. But the value for value for business model is more than simply the rejection of ads. Congressional Dish is a research intensive podcast; in order to produce it, I do work that other people don’t want to do. Who wants to read and outline a Congressional bill? Who has time to watch a 12 hour hearing? That’s the work that I do for my listeners; the information which can’t be found anywhere else is the value that they receive. 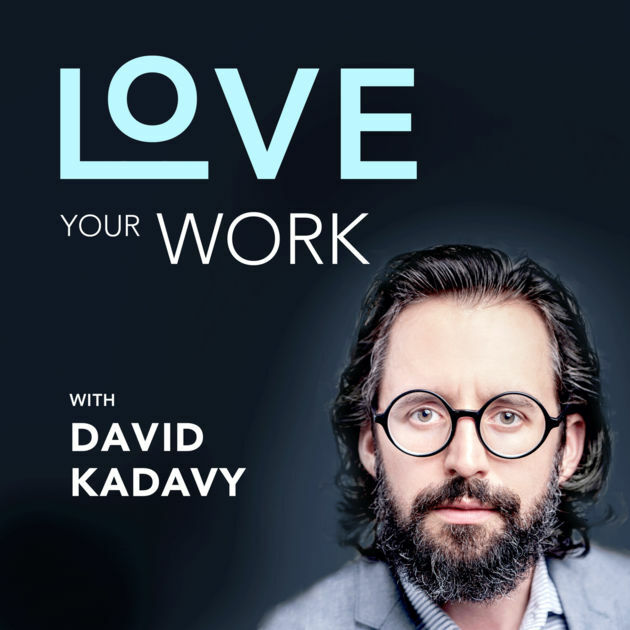 This is why the value for value model works for my business: Via the podcast, I provide something of value – fact checked, sourced, hard-to-find information – and that value is what the listeners return in whatever financial form works best for them. There are many ways to accept payments using the value for value business model. The best method is to encourage listeners to use their bank’s online bill pay function to either send checks or electronic payments. This method has no middle man, which means that you get every penny. However, many people want to pay with credit and debit cards: For these people, I have set up payment options with PayPal and Patreon. By installing PayPal donate buttons on your website, you can accept one-time payments or recurring monthly payments. By setting up a Patreon page, you can offer a per episode payment method. After the main content of each episode, I give a brief description of the business model and quickly outline the payment options and I follow that up with a “Thank You” segment, where I thank donors and respond to their messages. This business model will not work for everyone. If you have a “just for fun” type of podcast featuring conversations with friends, the advertising model may be your best choice. However, if your podcast is providing listeners with something valuable and unique, this business model is something worth trying. To give you some perspective, I would have to insert 16 advertisements per episode to equal the income that the value for value business model is providing now, which would destroy the quality of my show. My recommendation to anyone thinking about trying this model is to try this before advertising; if it works, great! If not, the advertisers will always be there. Once the podcast started making money, I started using the funds to make the podcast sustainable. 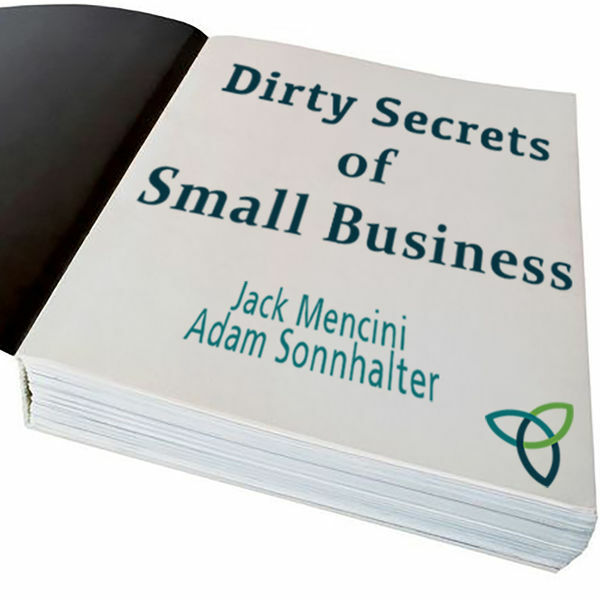 At first, I was happy to do all the work, and I think it was really helpful in the long run to truly understand every detail of my business. However, I couldn’t work 16 hour days forever. Outsourcing the tasks that are not my specialty has been key to keeping the podcast going for 5 years… and hopefully many more. A listener with incredible artistic talent, Brian Karas of Only Child Imaginations, offered to create artwork for every episode for free, and after two years we are now exploring mutually beneficial merchandising opportunities. Outsourcing these tasks has helped me tremendously in achieving some work-life balance and is allowing me to expand the show’s reach without burning myself out. But my advice for any podcasters starting out, who may not have the money or the celebrity status that provides an easy audience, is to just start. I started at my kitchen table, with a crappy microphone and no audience. If I can make this work, so can you, especially if you have compelling information to share. I also advise you to steer clear of anyone who wants to charge you for a “Mastermind” course or any kind of podcasting education; everything you need to start a successful podcast is available online, for free. I can recommend Daniel J. Lewis’ Audacity to Podcast and Dave Jackson’s School of Podcasting. Listen to the episodes geared towards beginners and they’ll give you all the information you need. There are also people – including Daniel and Dave – who you can pay for one-on-one consultations to help you start your podcast, and those services may be worth the money if you are stretched for time and have funds available now. I’m also happy to help you in any way I can, even if that means simply pointing you in the right direction. I can be reached via Twitter @JenBriney and my podcast’s Facebook page. You can also find me at Congressional Dish.